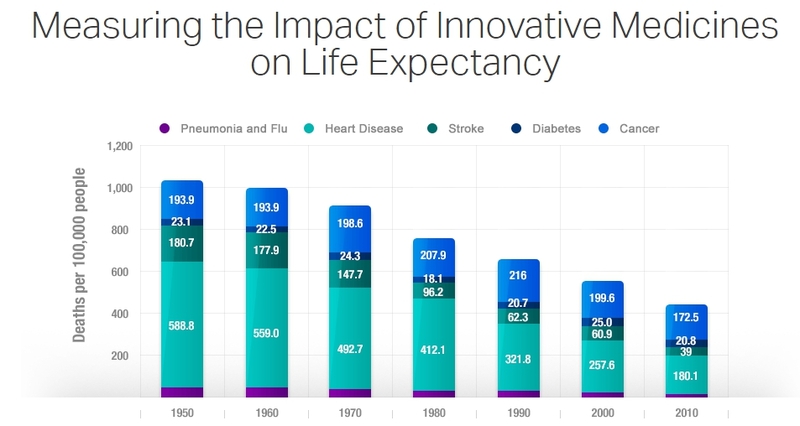 Have you ever wondered how do lifespan and innovations in healthcare correlate? The answer is kind of obvious, but numbers speak louder than assumptions. Let’s check the statistics: in the first decade of the 20th century, the average human lifespan was about 45 years. Today, the median is 78, thanks to undertaken measures like water chlorination or vaccinations. However, it would be fair to say that over the past hundred years, life expectancy has been increasing principally because of the development of science which, consequently, led to the apparition of effective medicines. In fact, economists can celebrate the prolongation of life not only for the apparent humanitarian reason: an increased life expectancy affects national income, as measured by gross domestic product (GDP). That is why governments are eagerly investing in the healthcare sector, and more and more startups in the field of medtech are starting to appear on the global stage. The main question lies in its quicker adoption. Each and every technology we’re taking for granted today was terra incognita yesterday. Smartphones, new operating systems or even Internet itself – we had to get used to these innovations at first. Anyway, whether you like it or not, it’s important to keep up with the latest technologies since this know-how presents a rock-solid advantage for a career. As we’ve entered the Digital Age, it’s natural to expect those advantages come in digitalized forms. Modern technology has changed the structure of various domains, and both the entire medical field and the way healthcare is delivered are no exception. “C” stands for convenience as technical progress has liberated doctors and nurses from redundant tasks so they can focus more on their cognitive duties and patient care itself. Or, for instance, the growing adoption of electronic health records. In some healthcare institutions, patient files have been transferred into databases with an easy access from anywhere in the building. Nevertheless, the journey to digital transformation has just started. Hospitals and clinics still have to deal with paperwork. Less than 10% of hospitals say they’ve been able to trade records entirely through their digital systems. But don’t get me wrong – the application of technology goes way far beyond digital patient records. However, even in regards to this particular case, consider technology as a better data coordination and management “tool” rather than a fancy time saver. If you’ve watched House M.D. TV series, you most likely remember the importance of forming a proper diagnosis. Diagnosis is often challenging because many signs and symptoms are nonspecific. Due to the progress in areas like nuclear medicine, diagnostics have become more accurate and easy to make. Numerous methods of imaging allow physicians to examine a patient’s anatomy without resorting to invasive procedures to come up with a diagnosis. Minor invasive surgeries, especially within the domain of cardiovascular and thoracic surgery, have also become more common in recent years. 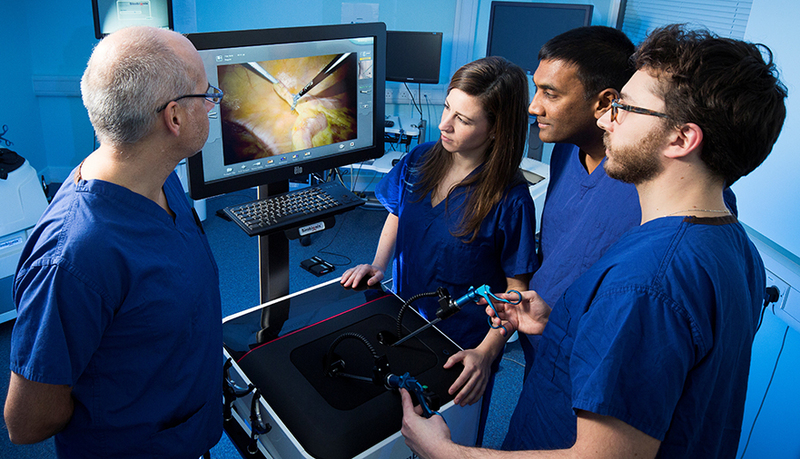 The development of better instruments and more advanced technology have allowed surgeons to perform operations in a way that just wasn’t imaginable, say, 15 years ago. The technology works for educational purposes as well. As a rule, doctors are put through a list of requirements before they can begin their careers. And it’s completely logical as they work with human lives. However, it is estimated that there’s a gap of 96,000 more doctors in the US alone just to meet the current needs. This means that the ones who got the job often feel their heavy workload has a negative impact on the quality of patient services. Considering these alarming facts, innovations come real handy. For example, through advanced 3D training tools offered by companies like 3D4Medical doctors learn about anatomy without having to cut open a cadaver. That’s very practical. Also, medical students have the ability to analyze various cases presented through imaging modalities such as X-rays, CT scans, and MRIs through a medical image application crowdsourced by healthcare professionals around the globe called Figure 1. Its users may upload entire scans so that the other users are able to see complete multi-planar studies. Quite often these uploads include detailed patient background information, allowing students to form a differential diagnosis to guide their learning. In Germany thing went even deeper. Here, the medical associations oblige doctors to earn a certain number of credits each year by going through certified medical training. Even in areas where they are not obligated to continue their professional development – can you believe it? This way, physicians keep up-to-date with the latest industry innovations to ensure the best possible care for their patients. The next stop is mobile, and mobile health has become a fundamental part of our hyper-connected world. Again, convenience is the king. The ability to use mobile devices in remote patient monitoring provides access to patients on a 24/7 basis. Assisted living is a perfect example: caregivers and hospital staff can track a patient’s location and issue an alert if he/she stops moving or if a dementia patient walks outside of predetermined boundaries. Monitoring patients from home can help elderly people live in their own home for a longer period of time while drastically improving the quality of caregiver decision-making. In 2013, the global mHealth market was valued at $2.4 billion and has been forecast to reach $21.5 billion by 2018 (source: Deloitte). The mobile health industry itself is expected to continue to grow in the coming years and is predicted to reach a total market size of almost $60 billion by 2020 (source – Statista). The next innovation worth mentioning is the teleconsultation or Remote Medical Care. While it is mostly used in areas with an impeded access to medical care, seniors and chronically ill people whose state of health limits their freedom of movement may resort to this technology for getting medical treatments and services. Another reason for using lies within the monetary aspect. Booking appointments are mostly free of charge, and patients pay lower fees for teleconsultations compared with direct consultations at the clinic. As a matter of illustration, Dr. David Cheong, one of Mobile Health’s co-founders and its chief medical officer, charges just $3 for the first few messages, and another $0.50 for following ones – a significant discount from his usual $30 consultation fee. Patients can send both pictures and messages describing their medical condition through the app for the tele-consults, which are widely used as follow-up consultations. In case their usual doctor is out of office or unavailable, they will be referred to another physician through the application. Considering all these use cases, it’s fair to say that the evolution of IT technologies has a positive impact on the development of medical treatment. Teleconsultations, patient information exchange between different institutions, remote recording of patients’ physical and psychological parameters and monitoring of operations in real time – all these possibilities bring healthcare to a new level, affecting all aspects of its activities in a positive way. Doximity or “LinkedIn for doctors” has already over 500.000 healthcare professionals as users, meaning that more than 50% of US physicians resort to the platform as a great way to discuss medical topics with their colleagues.